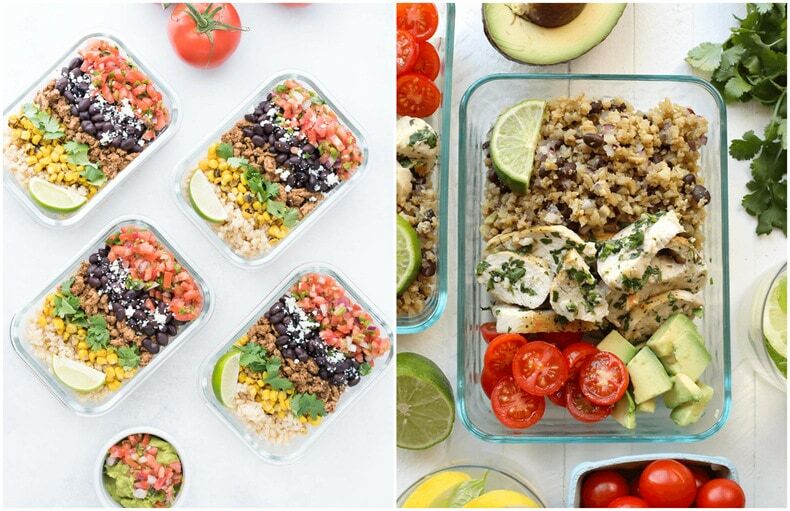 These 20 Easy, Healthy Meal Prep Lunch Ideas for Work are the perfect way to stay on track with your weekly meal planning – these meal prep bowls are creative, delicious ways to eat healthy and stay organized during busy work weeks, and they're perfect for meal planning on a budget too! 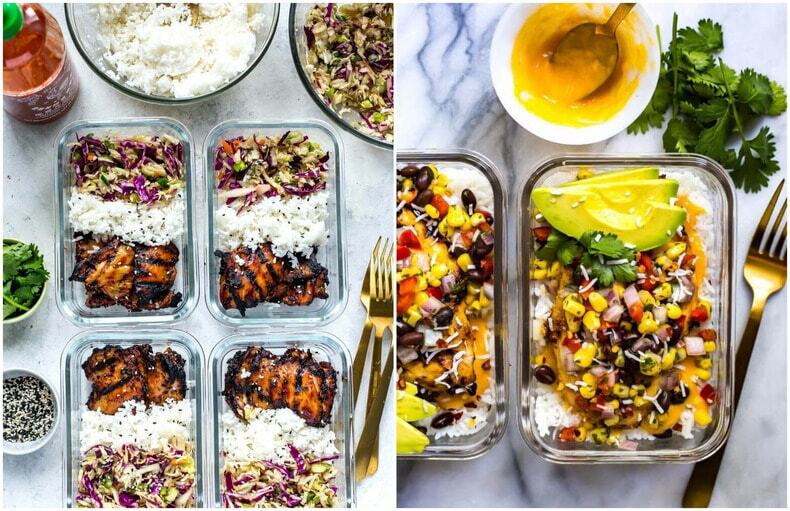 Let me tell you about these Healthy Meal Prep Lunch Ideas for Work: they are super fun ways to switch up your weekly meal prep process so that you're eating healthy whole foods that are also delicious! 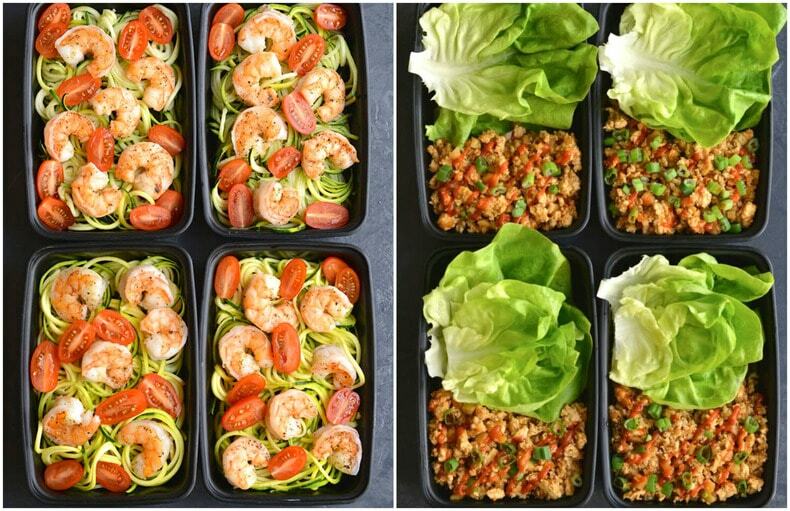 I always used to struggle with lunch meal prep for the work week because I had trouble planning ahead and let's just say this was long before I discovered food blogs! 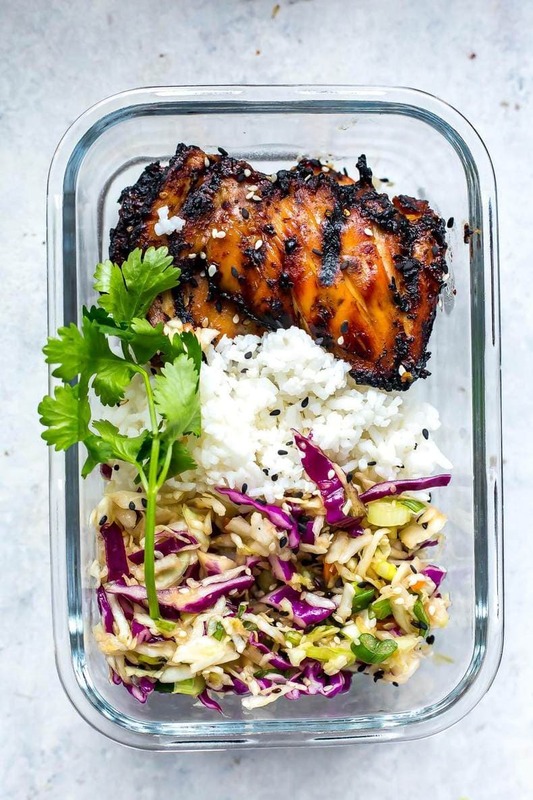 I used to rely primarily on cookbooks to whip together delicious dinners but would struggle when it came to making my lunches for work and school. You can learn more about my 25lb weight loss and meal prep journey over on my About Page, and this page will also help you navigate how to use my website to its full potential. I've got a ton of other amazing resources and recipes that will help you with so many more healthy lunch ideas! Back when I was first learning to cook for myself, I would often just rely on dinner leftovers for lunches the next day. Turns out, that's only a great strategy if you have the time to make dinner every night. By the way, if you're struggling to make dinner, you can find some of my fave healthy dinner ideas here. 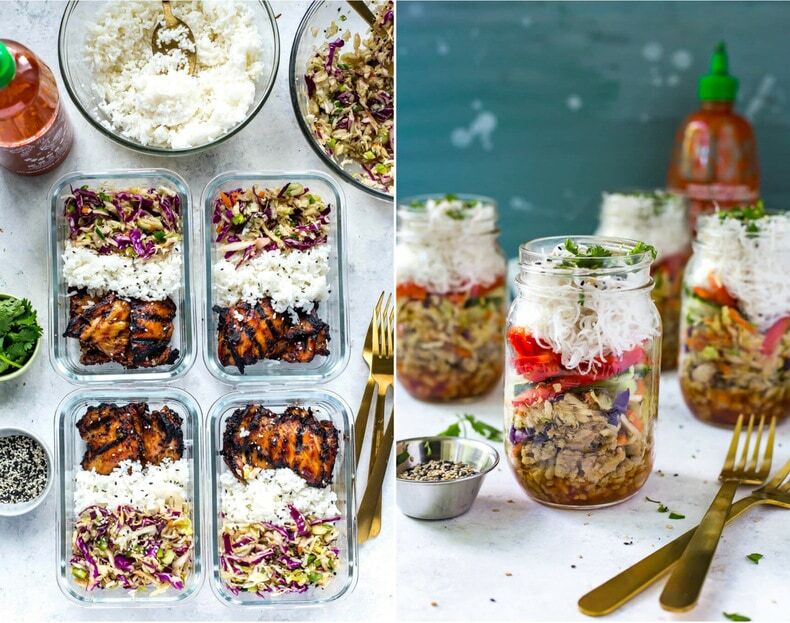 When you specifically plan easy lunch ideas in advance and complete your healthy meal prep for the week, it's easy to keep on track with your health and fitness goals and you'll just feel like you have more energy overall to really enjoy life! 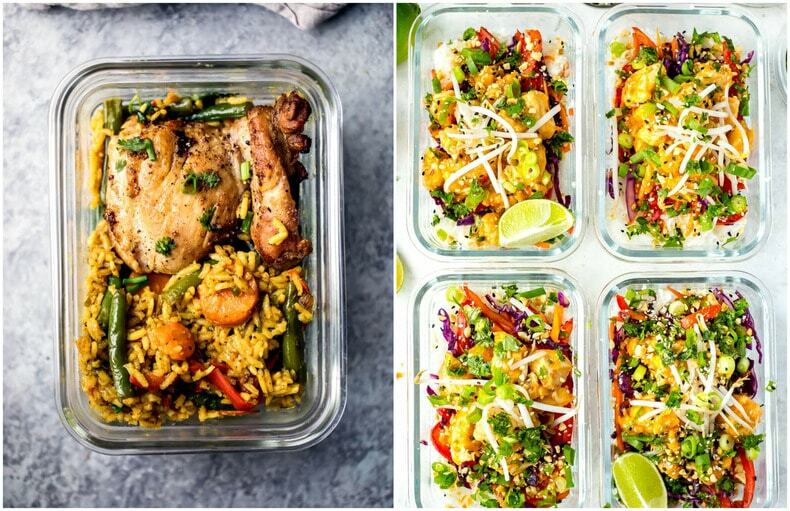 I've rounded up my favourite healthy meal prep recipes from my fave food bloggers so you can switch up your weekly meal prep routine and give some more thought to the creative side of lunch time! 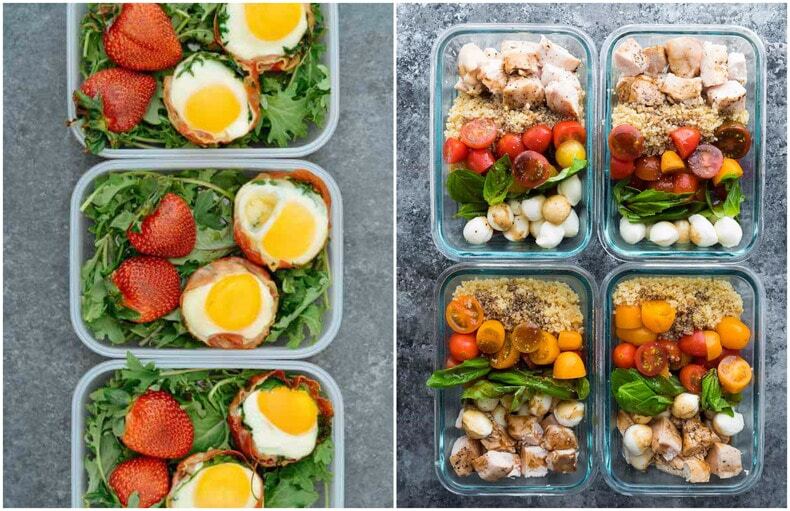 All it takes is a couple of hours (or less) on the weekend and you're on your way to healthy eating throughout the work week – and no stressing over what to take for lunch either, or doing any last minute scrambling! 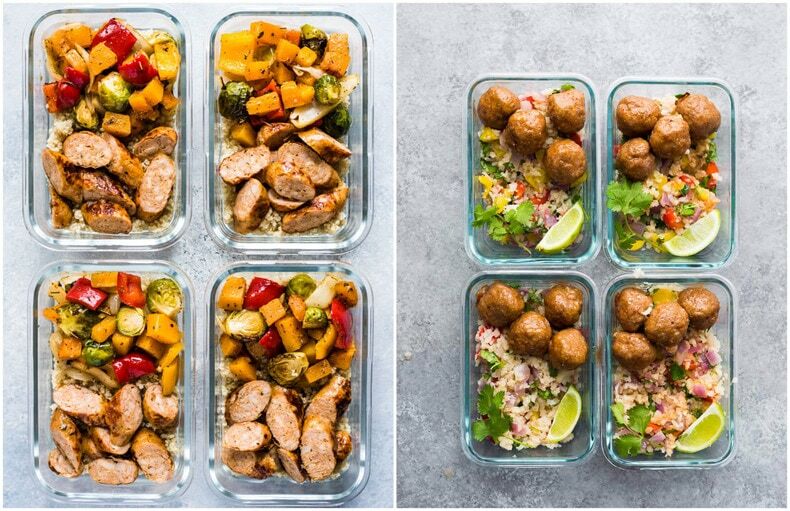 The key to really sticking with a meal prep routine is to pick easy recipes that come together with just a small ingredient list. If you have to spend a whole ton of time shopping and hours in the kitchen preparing ingredients, you're not going to stick with it. 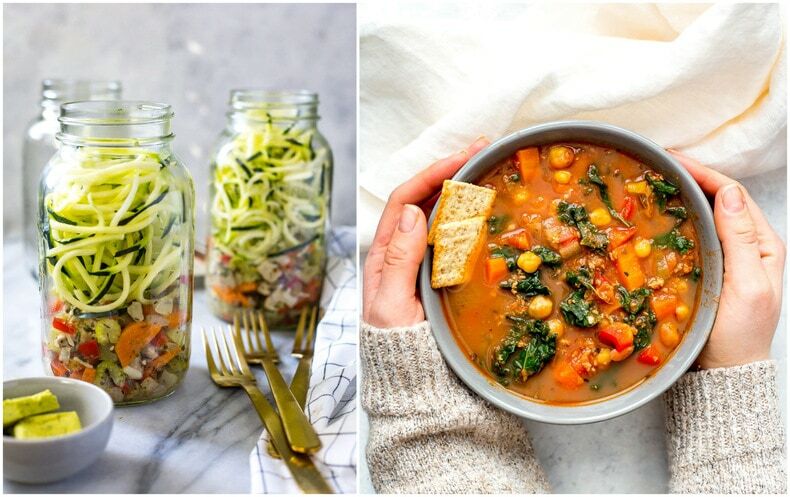 With easy lunch ideas like the following recipes, you'll be able to cook or do some minimal prep each week without it feeling like a huge chore or stressor. All of the recipes below are categorized according to each type of lunch idea. For instance, I have some sheet pan recipes below that cook on one pan that you can then distribute into meal prep bowls and warm up once you're at work. Of course, I also have some salads, wraps and sandwiches too. There are also vegan, gluten-free and low-carb lunch ideas organized by category. Happy meal prepping! Meal planning is the best way I stay on track with lunch ideas. 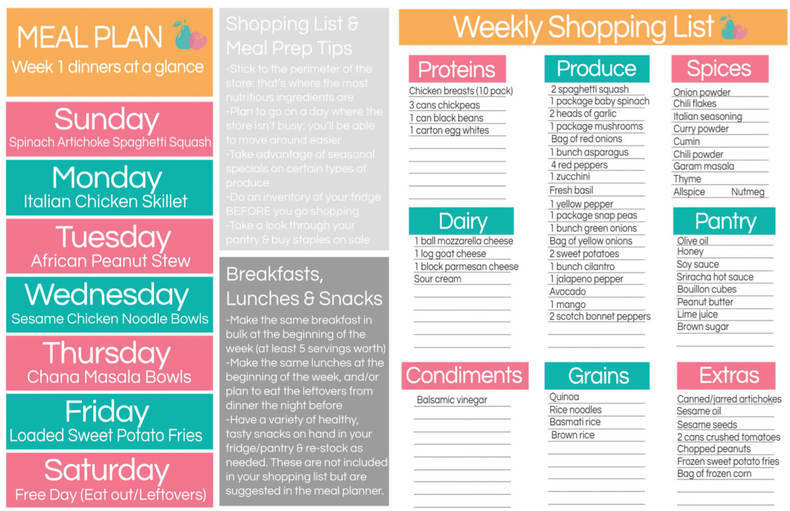 I will usually fill in what I plan to make for lunch in a meal planner (you'll download my free templates when you sign up for the Meal Prep Challenge!) and then make one or two lunch recipes for the week in advance. If you need some help coming up with lunch ideas in general, be sure to check out my Start Here page to learn how to best use my blog to help with meal prep! Or you can check out my step-by-step meal prep process here. And of course, where would we be if I didn't list some wrap and sandwich options?! I really dislike the traditional types of sandwiches with cold cuts so I try to cook up chicken breast and shred it to use in wraps or sandwiches but from time to time lean cold cuts like turkey are ok. Even just cheese and vegetables will give you enough protein to sustain yourself for the day too! 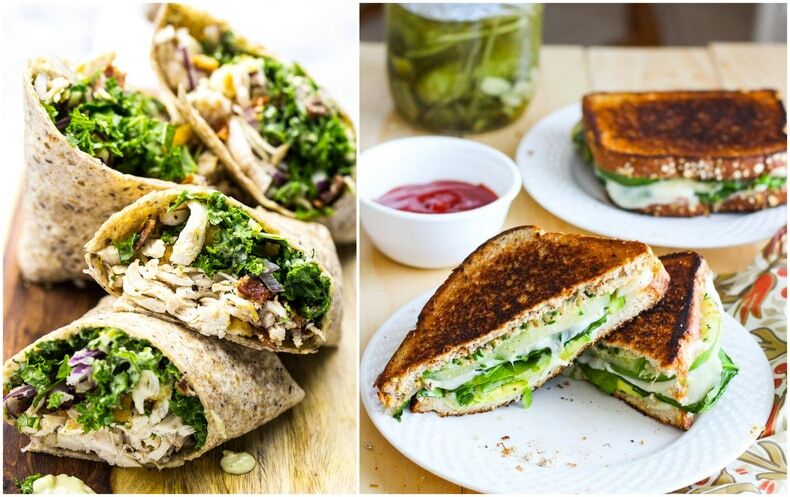 Try these new wrap and sandwich ideas below. Soups are really great options for work and are easier to transport than you think! And before you think soups aren't filling enough think again! I've included some thicker soups/stews in this round up to give you some ideas of ways you can add protein to your soups. Most are also vegan/vegetarian-friendly so soups can be super budget-friendly as long as you have access to a microwave at work. 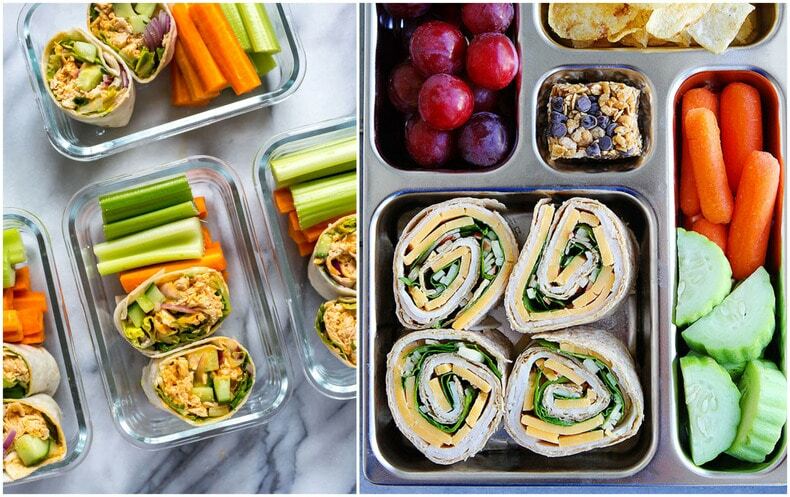 If you're meal prepping ahead of time, these are my favorite type of healthy lunches to make! 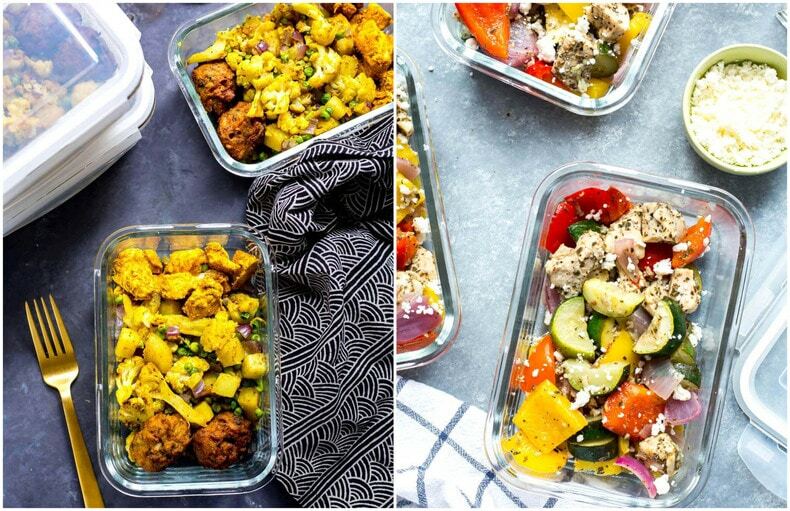 You basically throw everything on a sheet pan or in a skillet, cook, then divide into glass meal prep bowls. You can often switch up the veggies you're using too, these one pan recipes are so versatile and customizable! My personal faves are the Greek Chicken bowls and Sweet Chili Chicken, link below. If you're looking to get serious about meal prep, you HAVE to sign up for my free 5-day lunch challenge below! It's going to get you on the right path and give you the structure you need to meal prep your lunches like a pro! 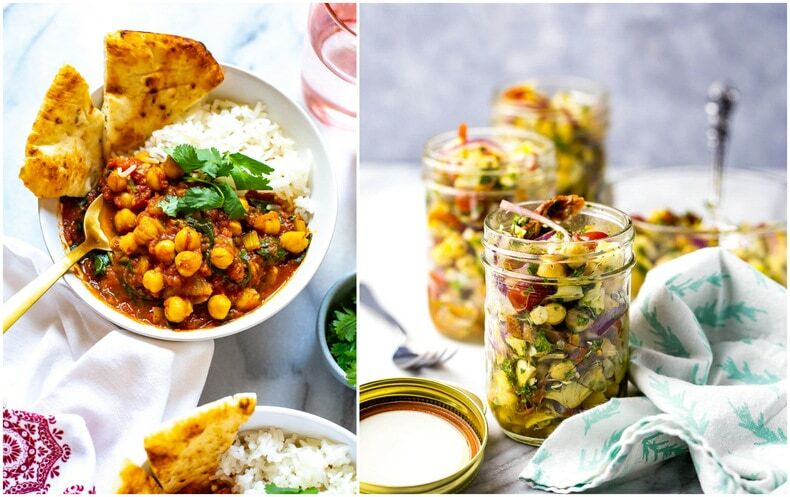 Vegetarian lunch ideas are great for when you're looking to eat lunch on a budget. Typically all you need is a can of beans or chickpeas, or some tofu that has been quickly marinated along with a killer sauce and veggies. Sometimes you can even get away with a couple no-cook recipes where you can just throw everything in a meal prep bowl or jar and call it a day! Low carb lunches are great options because they keep you from getting too weighted down with that midday meal. Oftentimes all you need to do is cook up a lean protein, add some veggies (raw or cooked) and season everything with the same spice blend or sauce. Plus, you end up saving time because you don't have to cook any grains. It's a win-win! 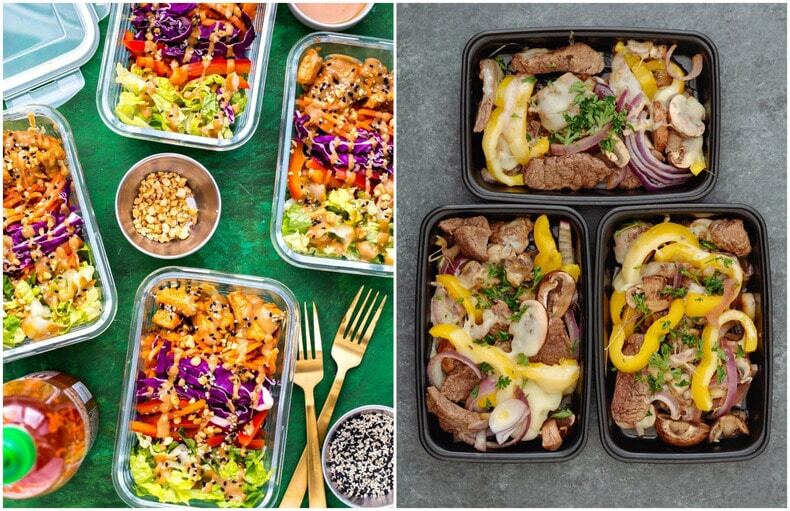 Similar to the low carb options above, salads are of course a go-to for healthy lunches but they don't have to be boring! Be sure to mix up the toppings and salad dressings. 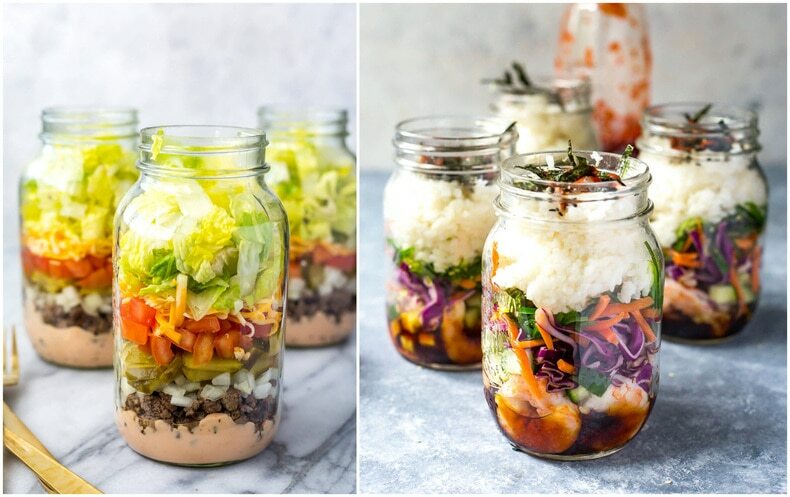 I like keeping my salads in mason jars when meal prepping them for the week because you can keep the dressing and protein in the bottom then layer in your veggies. This is especially important for lettuce to make sure it stays fresh! When I really have time to prep ahead, I like to prep rice bowls! 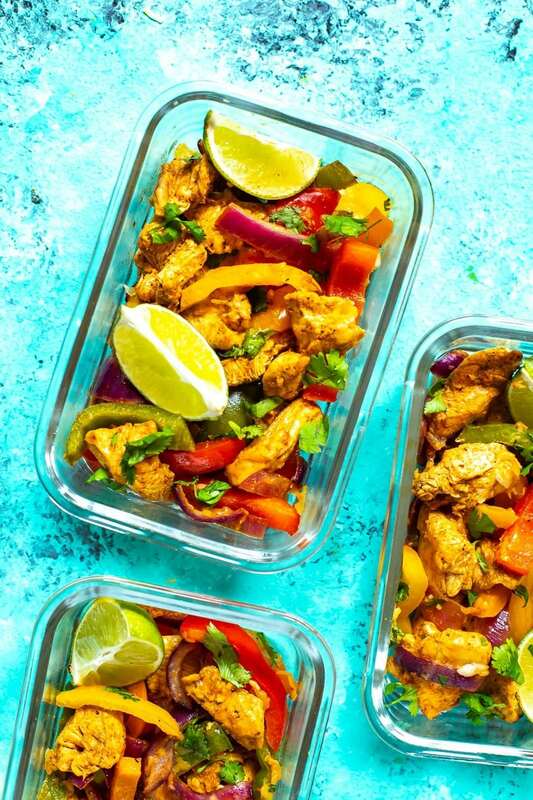 The Korean Chicken and Mango Chicken are my faves because the sauces are just SO good, but burrito bowls are also super easy to throw together and you can also take shortcuts by using pre-chopped veggies and store-bought salsas, which are a great low-calorie option for your bowls! I love making my lunches for the week in the Instant Pot. You can make all sorts of lunch-friendly recipes like rice bowls, casseroles, pastas, taco meat, etc. 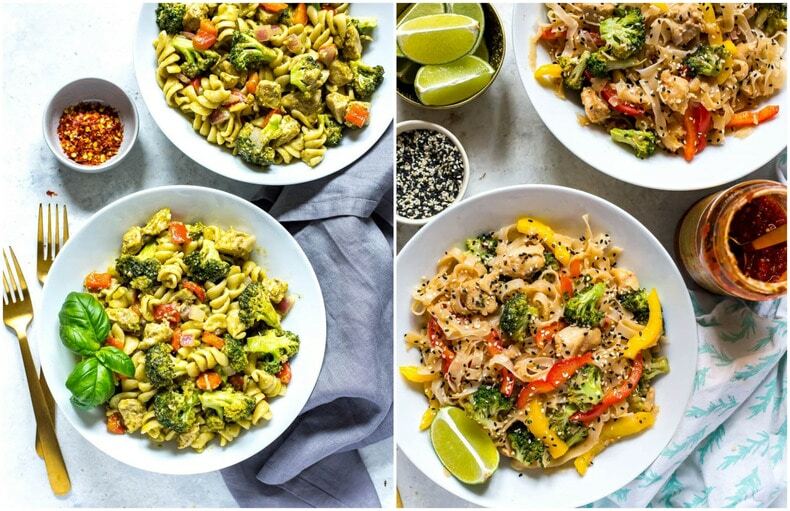 I personally like to batch cook a big pot of pasta to take for work week lunches like the Pesto Chicken Pasta linked below – it's one pot for minimal clean up, you can easily transport it to work and it reheats well. Tip: add a splash of water overtop of your pasta before microwaving. It will help retain moisture! 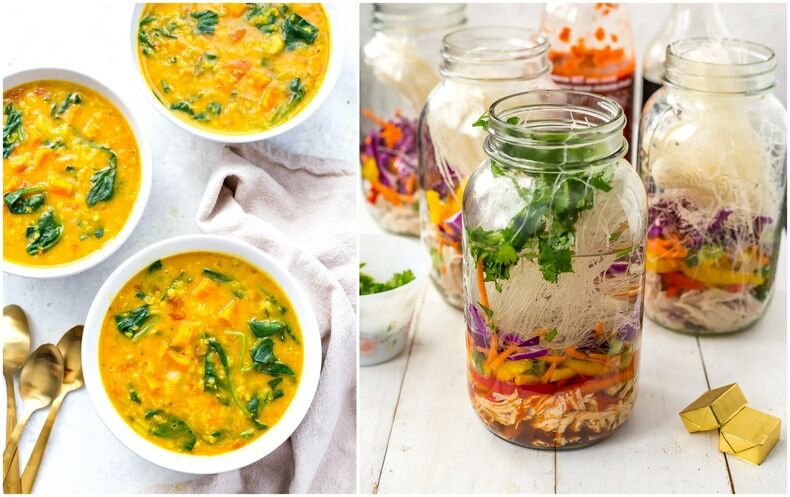 And there you have it, my fave healthy lunch recipes together in one place! 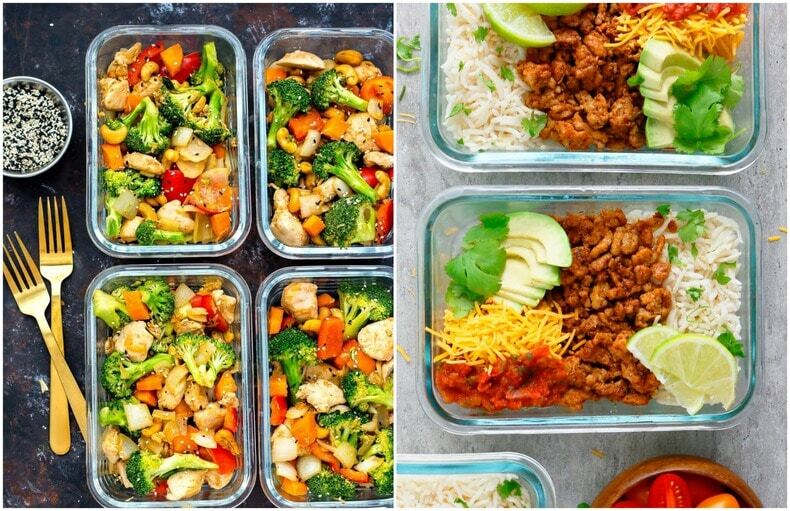 Get started meal prepping by just choosing one or two of the above recipes to make for your weekly lunches and move up from there. 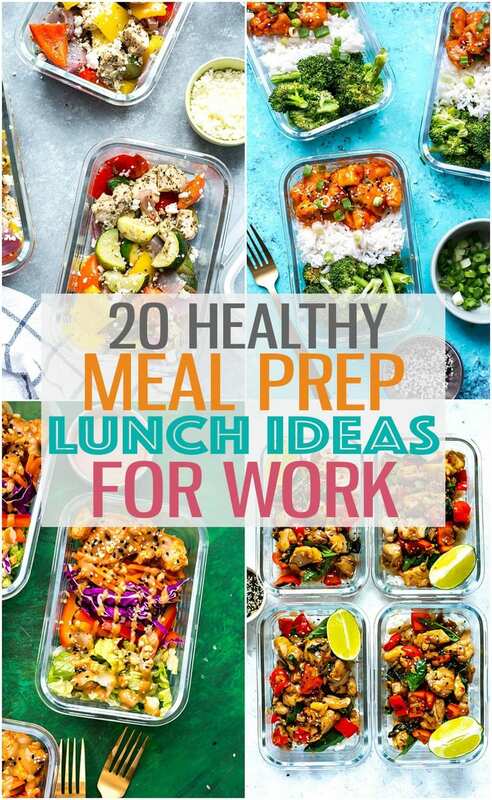 You can also try mixing and matching some of the above recipes to switch up your weekly lunches. If you're looking to learn more about meal prep lunches, you've gotta sign up for my free 5-day meal prep challenge below! 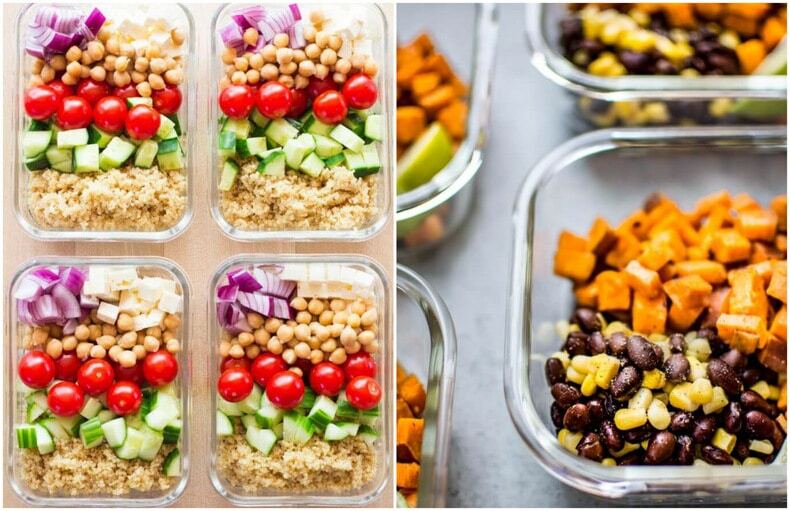 These 20 Easy, Healthy Meal Prep Lunch Ideas for Work are the perfect way to stay on track with your weekly meal planning - these meal prep bowls are creative, delicious ways to eat healthy and stay organized during busy work weeks, and they're perfect for meal planning on a budget too! These are awesome! No more Michelina’s microwave fettuccine Alfredo for this bish! Hahahahaha love it!!! Thanks Syd! This is so helpful! I needed some fresh ideas and this is how I already pack my lunches for the week. Looks delicious! I love one pan dishes, they are really fast to prepare and always yummy. Just can’t go wrong with them. How do you keep your meals fresh and “good?” Do you freeze them? I can’t eat food on Wednesday that was made on Sunday. Tuesday is even pushing it for me. Hey Candace – you’re safe to eat most of my meals 5 days from when you make them. My roommate has even eaten leftovers I’ve made 7 days after for some rice dishes, though I recommend up to 5 days. Hope that helps! Not sure if it’s been asked already but I’ve read it’s not ok to reheat rIce and get a lot of your dishes have rice in- what should I do? Hey Lydia – not sure where you might have read that you can’t reheat rice because you absolutely can! This advice definitely applies to any other type of food much as it does rice – if you don’t refrigerate or store meats, pastas, etc. it can grow bacteria which can lead to food borne illness. Taking the proper precautions when cooking and storing leftovers once food has cooled will help prevent this, as the article mentions. This to me is common sense but I can understand that everyone brings different levels of experience when it comes to cooking! My husband and I made the chicken caprese and the korean chicken bowls last week for our lunch prep and we both loved them! The fresh ingredients are so yummy! I am an RN who works in the operating room and I got tired of paying for the cafeteria lunches (unhealthy and always the same old stuff). Last week we prepped our lunches and it was fantastic to have a gourmet meal at lunch every day. Thanks for the great recipes~ I am off to prep for the week ! Oh my gosh awesome list! How have I not found you sooner? There is not one on here I wouldn’t try! !